Liberal arts colleges do not always come to mind when considering undergraduate research. However, research flourishes at colleges like St. Olaf because we’re able to offer small class sizes and personal attention from professors. There are no graduate students at St. Olaf, so professors devote their time and resources to undergraduates. This allows students from a variety of departments to pursue independent research projects. In this post, Henry Burt ’16 describes his connection to professors and the research that followed. The first class period I had at St. Olaf was on a bright, sunny morning in Regents Hall of Natural Sciences. It was Personality Psychology, 8AM, Professor Carlo Veltri. Not only was I new to the school, but so was the professor teaching the course. He had a thick brownish-red beard and mustache, round glasses, and a soft-spoken disposition. I won’t get into the details of the course, but I will let you know that I thoroughly enjoyed it! Carlo and I passed each other in the Psychology Department and in the Cage cafe from time to time throughout the rest of my freshman and sophomore years, exchanging the usual greetings and news about upcoming vacation plans. It wasn’t until the first week of junior year when our interactions became much more frequent. He had recently returned to his dissertation data on personality inventories examining the traits of compulsivity, rigidity, obsessiveness, and perfectionism in a large sample of college students. Carlo was interested in exploring if there were certain underlying “factors” that correlated with these traits. Subsequently, he called upon me that first week of junior year to help him identify these factors using a statistical factor analysis. But why me? Well, over the spring semester of sophomore year, I had been in contact with psychology faculty about the possibility of assisting professors with their current research. I had taken enough psychology courses in my major to feel confident that I was headed into a career as a psychologist. Now I wanted some hands-on experience and taste of what this profession would entail. Furthermore, my academic advisor mentioned that having undergraduate research would set me apart from other applicants when the time came to apply to graduate school. Eventually word got around that I was on the hunt, and I am sure that the faculty whom I had taken courses with put in a good word for me as they were talking with one another about open positions for professors’ research assistance. My small classes and relationships with my professors helped me take on this research opportunity. Carlo and I are now meeting on a weekly basis to pare down and fine tune our factor analysis. We plan on presenting a poster of our current findings at a regional symposium this coming year. Many professional psychologists will be there scrutinizing our work, but I’ll also be able to network and explore future collaboration in the field of clinical psychology. I’ll be happy to represent St. Olaf College by sporting a black and gold tie! My college days began well that first day in Professor Veltri’s class, and I expect it to end well alongside him as I undertake my senior year! You can find more information about undergraduate research at St. Olaf (including an exciting list of recent projects) here. The Dean of Students and Residence Life Offices mailed this postcard last Friday to all deposited Class of 2019 students. The Destination St. Olaf website, where you’ll find all the information you need to prepare yourselves for the fall, is now live. Though you’re now officially in the care of the Dean of Students Office, your friends in Admissions wanted to be sure a few particular points are clear as you begin to transition from prospective Ole to official Ole. Here’s a handy guide to address some big questions we see pop up around this time of year and over the summer. How do I access everything on the Destination page? Activate your St. Olaf account. To do this, you’ll need your St. Olaf ID number (found in your deposit confirmation letter). If you lost or misplaced your ID number, contact your admissions officer. If I have questions about anything related to Destination St. Olaf, housing, forms, Week One orientation, etc., who should I contact? The Dean of First-Years Tim Schroer (schroert@stolaf.edu) is available to answer questions via email, and you may also email questions2019@stolaf.edu. Now is the time to get used to using your St. Olaf account and contacting the relevant offices at St. Olaf with particular questions. All information and updates will now be emailed to you at your St. Olaf email account. When is the second deposit due? Your second enrollment deposit of $300 is due on June 1. You may mail a check, or you may pay online. To pay online, you must still use your Admissions account, which you log into using your Common Application email address and the password you have established. (For those of you who applied to a Conversation program, this is the same account you used for that application process; it’s also the account through which many of you sent in your first deposit, as well.) If you have not established your password, use the 9-digit PIN you received when you first began your St. Olaf application. If you no longer have the PIN, contact your admissions officer. After you pay your second deposit, you’ll no longer need to use your Admissions account. Also due June 1: student employment forms for students who have a student work award as part of their need-based financial aid package. To log into Financial Aid Online, you can use your St. Olaf account log in – the forms can be found there, or here, once you have logged in. Be sure to keep up with the timeline for your financial aid forms – there are more due in July. When are placement tests due? What about the roommate preference form? Or the adviser questionnaire? All of the due dates can be tracked on the handy Destination St. Olaf Timeline 2015 page. The roommate preference form is due in a little over a month: June 15. When are housing notifications made? Generally, the Residence Life Office notifies incoming students of their roommate and dorm assignments in the end of July – or at the latest, beginning of August. How do I get my pre-St. Olaf (AP/IB/CIS/PSEO) credits transferred? First: read the detailed information on the Timeline 2015 page (on the Destination St. Olaf site). If you haven’t had your score report sent to us, you’ll need send them to Nanette Schroeder in the Registrar’s Office (schroede@stolaf.edu). Do I need to register for classes before I move to campus? Your official registration will take place during Week One, the orientation week for first year students, after you have met one-on-one with your faculty adviser. However, course choice submission for both Writing 111 and Religion 121 will be required during open registration in July (more information on the Timeline page). 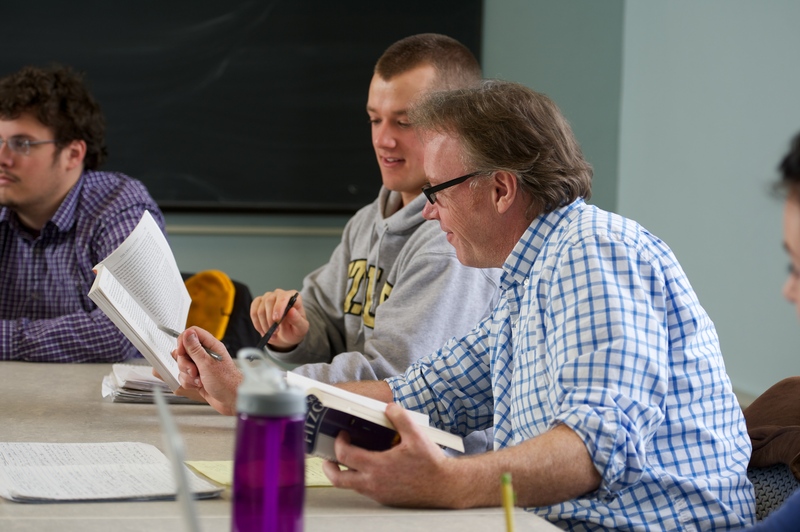 These are your first year writing and first year religion courses; you will take one, then the other, over the course of your fall and spring semesters at St. Olaf. If you are in a Conversations program, there are adjustments to this – The Great Conversation and Environmental Conversation coursework incorporates both credits, and American Conversations includes Writing 111. When does first year orientation take place? 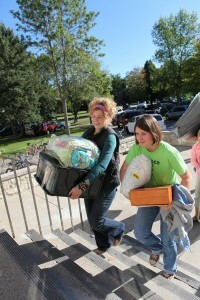 Move In Day is Saturday, September 5 – the Saturday before Labor Day weekend. (International students move in on September 1). Visit the Week One site for all the details you need to know: travel arrangements, schedules, etc. for the day. Week One – which is the first year orientation – takes place from the evening of Move In Day (after you say goodbye to your family) until the first day of classes on September 10. During that time, you’ll meet other 2019ers, get to know campus, meet your academic advisers (multiple times), attend information sessions on the academic majors, audition for first year ensembles, register for classes, and investigate the clubs and organizations to join. Again, the Week One page has a lot of helpful information to consider as you prepare for the transition. What is “Drop Off, Drop By”? If you and your family will be in Northfield on the Friday night, September 4, before Move In Day on September 5, you’re invited to drop off your things in your dorm room from 2:00-4:00 p.m. Note: this isn’t a time to move in, but only to drop your things in your room. After you do so, you can join other 2019 Oles and some current students in the Pause while your parents enjoy a reception at the President’s home. This can be a nice time to alleviate some of the stress that comes with moving in and unpacking during the morning of Move In Day, and get to know a few people early-ish in the process. 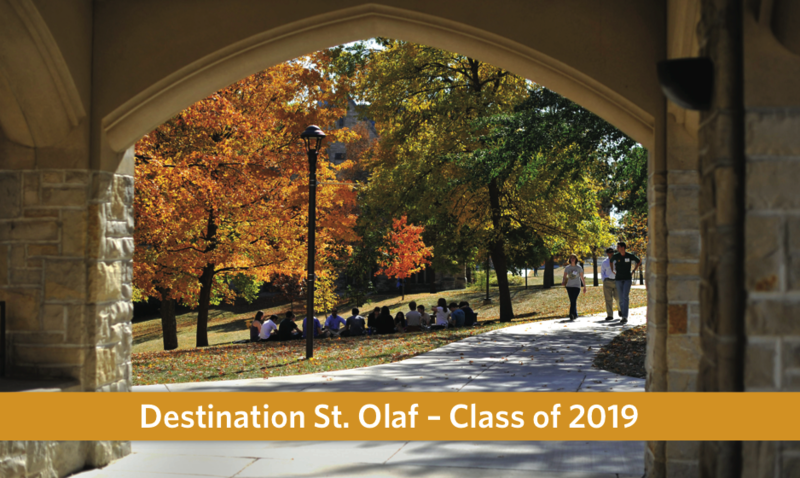 For more information and to RSVP, check out the Destination St. Olaf home page. You’ll also receive a formal invitation from us this summer. That’s a LOT of information! Keep the link to this blog handy – and share it with your parents – throughout the summer. Remember to ask if you have questions, check your St. Olaf email account often, and check the Destination St. Olaf page often for updates. A big adventure awaits! At this point in your college search as an admitted Ole, you’ve likely heard of the Conversations and Learning Communities. We’ve talked about them with you in interviews, during visit days, and we mailed out information (including all you need to know to apply) last week. There will also be informative sessions led by faculty from these programs during both of our upcoming Admitted Student Days. However, as the first application deadline approaches on April 14, I wanted to be sure you got your burning questions answered to best inform you as you consider your four years at St. Olaf. What are the Conversation programs? Which programs can I take during my first year? 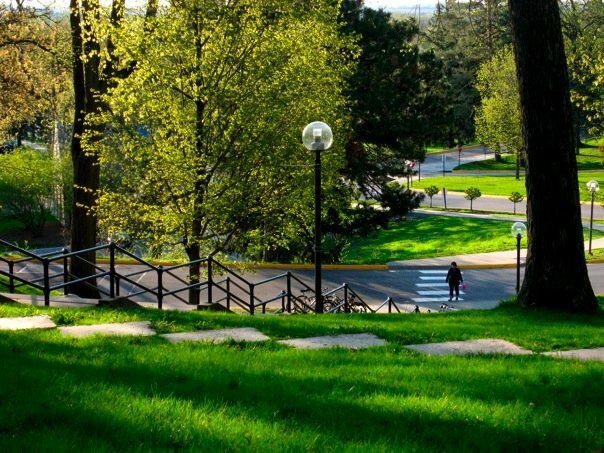 Interdisciplinary and unique, the Conversation programs are sequences of courses that take place over more than one semester. There are five Conversations overall; The Great Conversation, American Conversations, Environmental Conversations, Asian Conversations, and The Science Conversation. The first two — AmCon and Great Con, as they’re known on campus — are two year programs that students begin during their first year at St. Olaf; Environmental Conversations takes place during the first year only. So, those are what we’ll talk about here. Keep in mind: Asian Conversations and Science Conversation are sophomore year-only courses; Asian Conversations requires that a student take Japanese and/or Chinese during their first year at St. Olaf (as there is a study abroad component over Interim of the sophomore year). As always, it’s good to visit the web pages for the Conversation programs to get the basic information about course offerings and general focus. CH/BI – or Integrated Chemistry and Biology – or “Chubbi,” as it’s pronounced, is a sequence of three courses taken during your first year, including your interim during the month of January. Students work together to explore the fundamentals of chemistry and cellular biology. As a learning community, students and faculty explore ideas in the lab, through group-based problem solving and discussions. In addition to basic texts, readings from a variety of sources enrich discussions and illustrate the interdisciplinary nature of science. There isn’t a residential component to CH/BI. What’s this about a “residential component”? Students who are involved with Great Con, AmCon, or EnCon live among each other in specific residence halls during their first year only (though non-Conners live there too, so you won’t have a Con roommate). Hoyme Hall is typically where AmCon students live; Kildahl and Ellingson are where Great Conners reside; and you can find EnCon students in Kittlesby, which is designated the “green” dorm on campus. 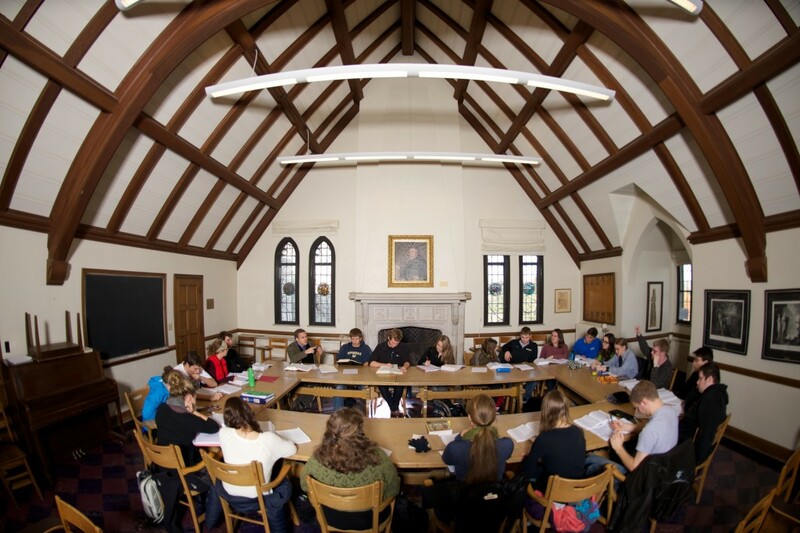 There is a lot of writing, reading, thinking, discussing, and debating in the Conversation programs — and much of it happens in the residence hall lounges where the students reside. It creates a fun and dynamic intentional learning community that can also aid in the transition to college life during your first year. How do I apply for one of these programs? To apply, you need to log in to your Admissions account (which is different from your St. Olaf account; the Admissions account is what you’ve been using to monitor your application status, and where you’re also able to make your enrollment deposit). Once you log in, you’ll be able to locate the applications for the four programs for first years on the right-hand side. Each application requires a short original essay component with prompts specific to the program. Need help logging into your Admissions account? Contact your admissions officer. Can I apply for all Conversations and Learning Communities if I’m not sure of which one I want to do? Yes. If you are accepted to them all, you’ll be able to do a little more research before choosing the one you want. Generally, one of the questions on the application requires students to rank their Conversation preference. …And which deadline should I apply for if I’m unsure I want to do a Conversation program at all? It’s always encouraged that if you have even a shade of desire to be involved with one of these programs, you should apply by the first application deadline. The majority of students are admitted from that first application round on April 14; but there is still room as well for students who decide by the later deadline of May 12. I love the concept of the Conversation programs and CH/BI, and I want to do THEM ALL! Can I? Wow, we admire your gumption! However, even if you are an incredibly motivated genius, it’s impossible to do CH/BI, The Great Conversation, American Conversations, and Environmental Conversations alongside each other. However, it is possible to do either CH/BI or Great Con or AmCon or EnCon AND Asian Conversations or The Science Conversation. Generally, there only are a handful of students who double-up on a two year and one year Conversation program. How many students are accepted who apply to the Conversation programs? Not all students who apply are accepted, but there are wait lists that exist throughout the summer as students change their minds or decide to opt out of the program. There are two cohorts of 60 students for Great Con, one cohort of 40 students for AmCon, and roughly 30 students in EnCon. Generally, both programs are able to accept half to a third of students who apply. The professors who teach in the programs review all applicant essays completely separate from any other consideration. They don’t look at your high school GPA, your test score, or essays you submitted in the fall. Their reasoning: you were admitted to St. Olaf, so you’re smart enough. It’s just about who puts together a compelling essay and how well it’s written. Are these programs considered “honors” programs? While there is a considerable amount of reading and preparation for each class (for Great Conversation, you read upwards of 80 extra pages of reading per night); no, St. Olaf doesn’t have any honors program. As a selective, academically rigorous college, every course sequence provides the rigor and opportunities you’d find at a typical “honors” level program. What if I don’t do a Conversation program? All in all, only 25% or so of Oles are involved with a Conversation program when all is said and done. While they are awesome for the students who are involved, they are not the only way you’ll get a rigorous, interesting, compelling education at St. Olaf. Evaluate if it fits what you want and how you learn best; if it doesn’t, you won’t be looked down upon or judged for not being a Conner. Is there a cool visual aid to help me get a better sense for the Great Conversation program in particular? Hopefully this is helpful! Enjoy crafting your clever essays… I know our professors are excited to read them and welcome the next group of Conners and CH/BI students to campus. Why attend Admitted Student Day? Maybe you think, “Well, I’ve been to campus, why should I come to one of these Admitted Student Days?” or “I’ve already deposited… should I still come?” or possibly “Why should I spend a weekend of my valuable time visiting St. Olaf?” Good questions! Below, I’ve highlighted a few reasons why Admitted Student Days are particularly special. From an admissions perspective, my colleagues and I — who will be wearing matching blue shirts, by the way — love the energy and enthusiasm of these days. We finally get to meet students with whom we’ve worked for months (and sometimes years). Whether or not it’s your first time meeting us, we have gotten to know you by reading your application, emailing with you, and talking with you on the phone. 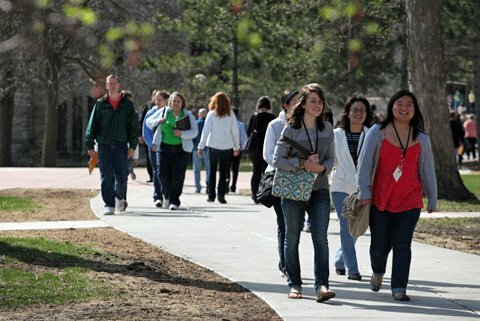 It’s fun for us to see the next class of future Oles explore campus with the knowledge that they could actually be students here in a few months. From informally meeting during registration, to the students-only lunch in the Pause, you’ll meet the students who will become part of the community in the fall. 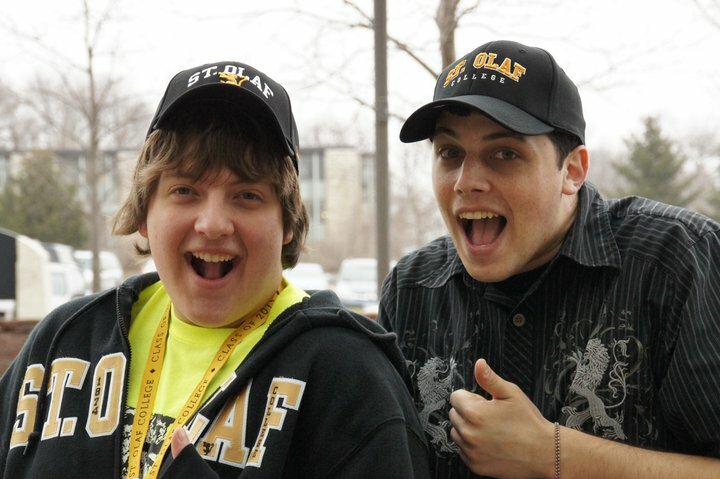 Around 30% of the students who attend Admitted Student Days have already decided on St. Olaf (how to tell? see #5). 2. 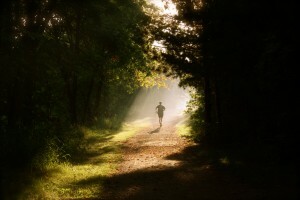 Learn about the beginning of your beginning here: Week One! From Move In Day to the first day of class, Week One is a time of transition. From socializing, adjusting to dorm life to registering for classes and finding level 3 1/2 in the library, there is a lot to do. Learn about the support systems in place to ensure your arrival and adjustment to college life at St. Olaf goes smoothly. 3. Hear from faculty in every academic discipline about what makes the St. Olaf experience unique. There will be breakout sessions from faculty in Humanities, Fine Arts, Social Sciences, Natural Science & Mathematics, and Interdisciplinary & General Studies. One – or a few – of these professors may soon have you as an advisee, lead your study abroad program, or teach you in the classroom. Get a sense for who will be teaching you during your four years on the Hill. 4. Taste the food. Make sure it still suits your palate. And, take a free St. Olaf Cookie for the road. 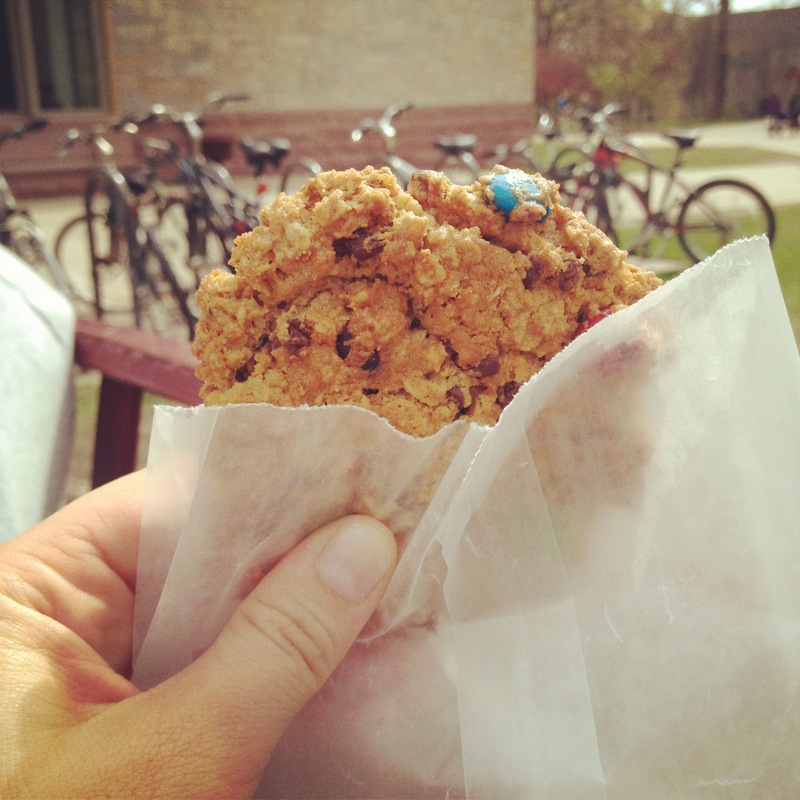 Breakfast in the Caf, lunch in the Pause, and a St. Olaf cookie to go — you will be well-fed and get a true sense for the culinary atmosphere at St. Olaf. 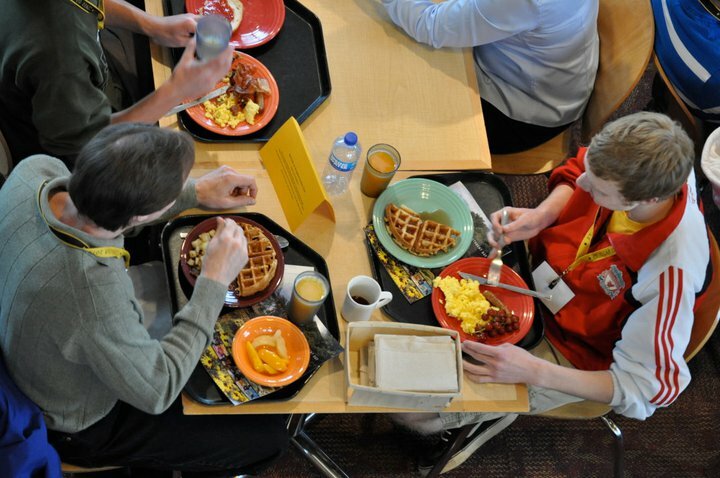 Princeton Review recently ranked us #5 for Best Campus food, but you should see – and taste – for yourself. 5. 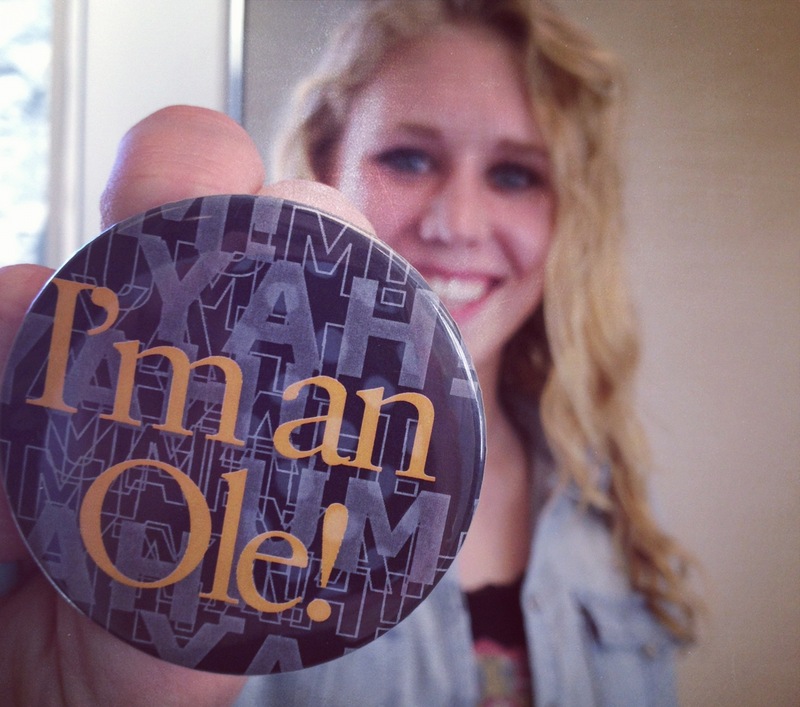 Get your “I’m an Ole!” button. Committed students who have given us their enrollment deposit will receive this button upon check-in to wear during the day’s events. Attach it to your shirt and let everyone know you’re official. If you get to the end of the day and decide you’re ready to become an Ole, you can deposit and we’ll bestow this valued trinket upon you. Also, we have buttons for your parents, as well. 6. Update your Ole gear: the Bookstore will provide a 15% discount. 7. 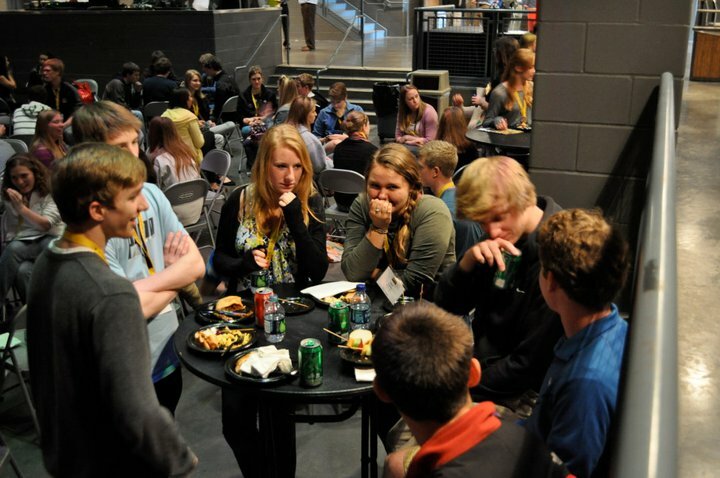 Mingle with current Oles and start planning what clubs and organizations you’ll join. Over 20 student-led clubs will be present for the Co-Curricular Fair during the student lunch. Volunteer organizations, special-interest groups, intramural sports, multicultural and religious organizations — a sampling of our 250+ clubs and organizations will be present. You’ll be able to walk from table to table and meet current students who can tell you about their groups. You’ll even be able to sign up for the clubs that look interesting to you and get a head-start for next fall. Check out the full listing of current student organizations! 8. Learn about resources for mapping out life after St. Olaf. We are proud to have the Piper Center for Vocation & Career on campus to advise and connect Oles to their future jobs and vocations. 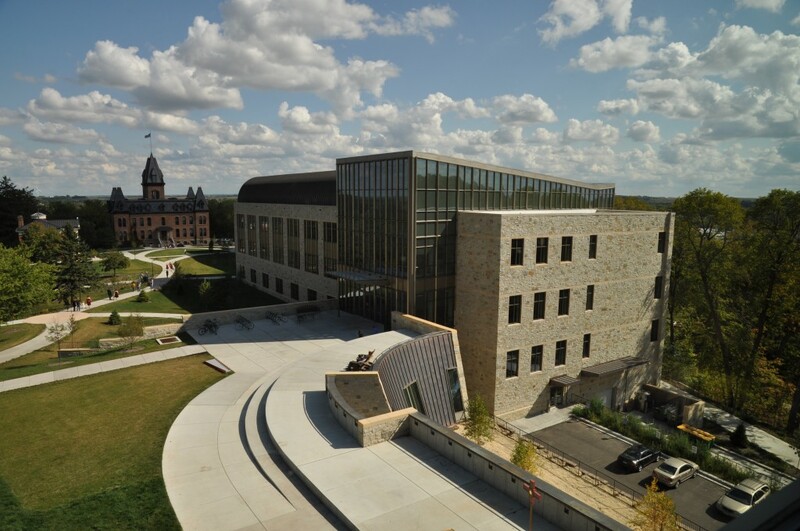 Attend the informative presentation from the Piper Center staff, and hear from current Oles’ experiences at St. Olaf and how the Piper Center’s support has helped prepare them for the future. Your college career is imminent, but it’s important to know what St. Olaf can do to prepare you for life after your four years here. 9. Scope out a residence hall. Check out a residence hall tour. As part of the continuing effort to provide an even better residential experience than we already have, you’ll be able to see one of our newly renovated first-year residence halls. Start to plan your room decoration theme, packing list, and how you’ll move into your new shared living space. Now is your chance to learn more about the interdisciplinary Conversations and Learning Communities directly from the professors who teach in these unique-to-St. Olaf programs. There are two application deadlines for the first-year programs – April 14 and May 12 – so it’s good to get all your questions answered before you apply. 11. Take a stroll around our hometown, Northfield. We’re located about 45 minutes south of Minneapolis St. Paul, but there are a lot of special reasons why our students choose our town of 20,000. Walk down historic Division Street, grab a coffee or tea at Goodbye Blue Monday, try a cupcake at Cakewalk, peruse the shoes at the Rare Pair, and learn about the town’s unique history at the Northfield Historical Society. The community of Northfield employs St. Olaf students as interns, babysitters, baristas, servers, and much more – discover it for yourself. 12. 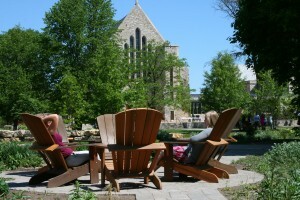 Discover your favorite spot on campus. The official tours will show you the key places on the Hill; feel free to use that time — or time to wander on your own — to see where your new study place, meet-up spot, or meditation location will be. You can — and probably will — have more than one favorite place. I encourage you to take time to investigate the nooks and crannies of campus, from an outdoor spot in the Natural Lands, to the space under the Memorial Chime Tower, to a study corner of Regents Hall. In addition to the highlights above, there will be a luncheon for parents, various information sessions about life on campus, such as study abroad, fine arts, and athletics, and lots of time to hear from current students and faculty. The basic schedule is on the registration page; you’ll receive a complete and detailed schedule upon check-in at Buntrock Commons. We look forward to welcoming you — see you soon! A few weeks ago, I had the opportunity to travel to southern California to present at the Sage Hill School’s Financial Aid and Scholarship Night. I enjoy having a dialogue with students and parents about paying for college. When I present, much of my time is focused on how to apply for financial aid and what type of financial aid is available, but I also talk about why they should invest in a college education and to advise them to look for schools that demonstrate a return on that investment. During my first three months on campus, I have explored how St. Olaf does that for Oles while they’re on the Hill and after they’ve graduated. It begins from the first semester students spend on campus. 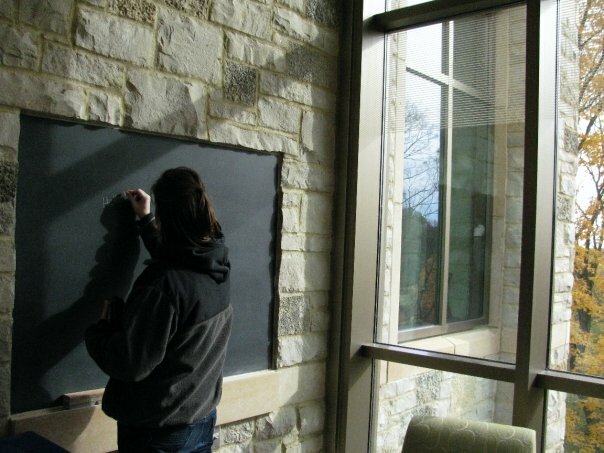 The first-year student experience centers on building a foundation and self-exploration. The Focus on the First-Years program held in January is designed to assist students in getting the most out of their time on the Hill. The sophomore year is designed to transition students to think about potential careers through activities and experiential learning opportunities. Students are encouraged to explore internships, research, and service opportunities that align with career aspirations. The Quo Vadis retreat program gives sophomores the chance to step away from campus to reflect on who they are, what has been most important in their experiences so far, and explore where they’re going in life. The junior and senior years focus on making connections, identifying post-graduation plans and putting those plans into action. 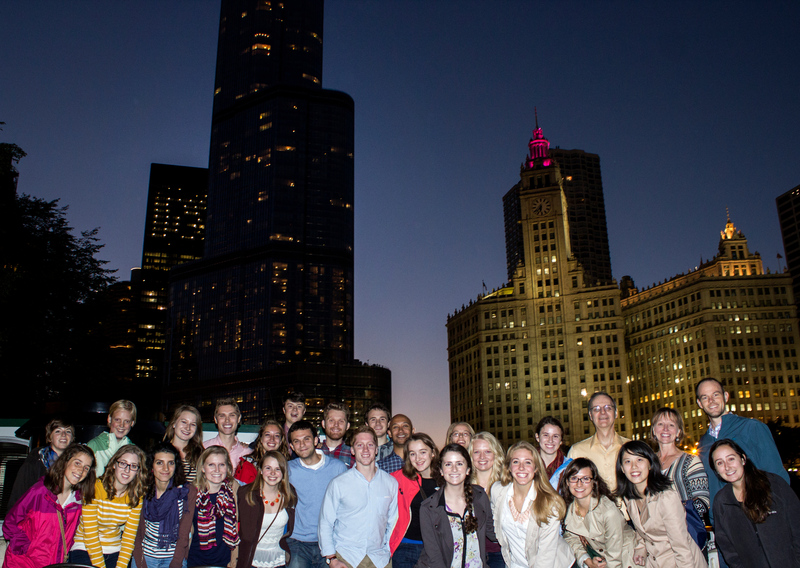 The Connections Program gives students the chance to travel to cities such as Denver, Chicago, Seattle, and Washington, DC to meet with alumni in career fields that are of interest. Ample opportunities to network with St. Olaf alumni from the Twin Cities area – only 45 minutes from campus — are also available through the Ole Biz, Ole Med, Oles for Public Interest, and Ole Law programs. These receptions offer students that chance to make professional connections and hear two minute “pop-up” speeches on alumni’s career experiences. After graduation, each class is asked to respond to a post-graduate plans survey from the Piper Center. This fact is amazing: within 9 months of graduation, more than 90% of the graduating class has informed us of their post-graduation plans. Of those grads, 97% are employed, in full-time service programs, or enrolled in graduate school or professional school. So, while you consider your list of colleges to apply to this winter and ultimately attend next fall, I encourage you to explore the Piper Center and Outcomes websites. I think you will see the tremendous value in choosing St. Olaf.